Rapid Recovery’s Oakland location strives to provide the businesses of the the Easy Bay with outstanding value. Using Rapid Recovery’s innovative, state-of-the-art refrigerant recovery equipment, our EPA-certified technicians help reduce the time spent recovering refrigerant as well as provide an outlet for used refrigerants. 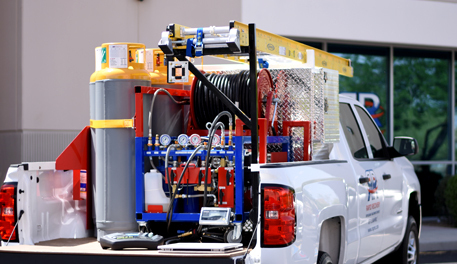 With locations nationwide, we have compiled an extensive knowledge base that we can tap to be sure that each recovery is completed as efficiently as possible. We have proudly served our partners in the HVAC, mechanical, demolition and environmental fields by performing recoveries and supplying EPA compliant refrigerant paperwork at locations as diverse as Jack London Square, the Oakland Ice Rink, server rooms, The Port of Oakland and high-rise office buildings. Contact your local Oakland team today to get a quote on your next project.